Seoul on Wednesday night passed its North Korean human rights bill 11 years after it was first brought before the National Assembly, following the end of world’s longest filibuster against an anti-terrorism law which concluded with the opposition party’s surrender. 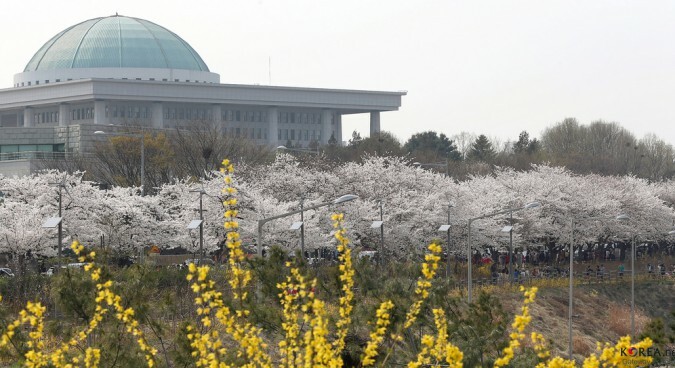 The legislation, which has been stuck since last fall despite broad agreement between the ruling Saenuri and opposition Minjoo parties, passed with a strong majority. The sharpest conflict point, until the last moment, was whether to prioritize improvement of North Korean human rights or take a more balanced approach between human rights and the inter-Korean relationship. The former approach, favored by the conservative Saenuri Party was adopted in the end. “The nation should do its best to protect and improve the human rights of North Korean residents, as well as develop inter-Korean relation and settle peace on the Korean Peninsula,” the bill’s final version reads. The final version included a compromise between the two parties regarding the location of a North Korean human rights archive. The archive will open and be collected at the Ministry of Unification, but the materials will also be shared with the Ministry of Justice for legal purposes. Conservative groups have argued that the archive should be placed at the Ministry of Justice in order to carry out punitive measures against human rights violators following unification. The progressive opposition party has asserted that material collection should focus on policy making to improve the human rights situation. Kim Tae-hoon, a lawyer who had been advocating in support of the law, said the location of the archive is the most disappointing point of the law’s final version. Pyongyang’s state-run online media Uriminzokkiri has since February 27 published a five-part series of interviews with the chief of the North’s Chosun Human Rights Issues Council to criticize the passage of the law. On Wednesday, the outlet published another column blasting South Korea’s human rights roll-back during President Park Geun-hye’s term. The series, citing the existence of the archive, said the law is aimed at “system unification.” The North advocates for a confederation prior to reunification in which the two Koreas maintain their political and economic systems. The laws passed with the approval of 212 out of 236 lawmakers, while 24 lawmakers abstained. Saenuri lawmaker Ha Tae-kyung, who has led in advocating for the bill railed against the North Korean regime and spoke of its collapse before voting began. “Under the flagrant reign of terror of Kim Jong Un, it is hard to expect a minimal improvement in human rights … Regime change and democratization is the fundamental solution to North Korea’s human rights issue,” Ha said at the National Assembly’s plenary session. President Park described North Korean administration as “tyranny” on Wednesday during her speech to a Christian group. One expert showed concern over these remarks being openly spoken by high-profile politicians. “They are using the security issue for their political interests ahead of the next election,” Seo Bo-hyeok, research professor from the Institute for Peace and Unification Studies at Seoul National University told NK News. After passing controversial bills including its anti-terrorism law, Seoul is now gearing up for the general election in April, after finalizing the reconstruction of election precinct regulations through a National Assembly vote.